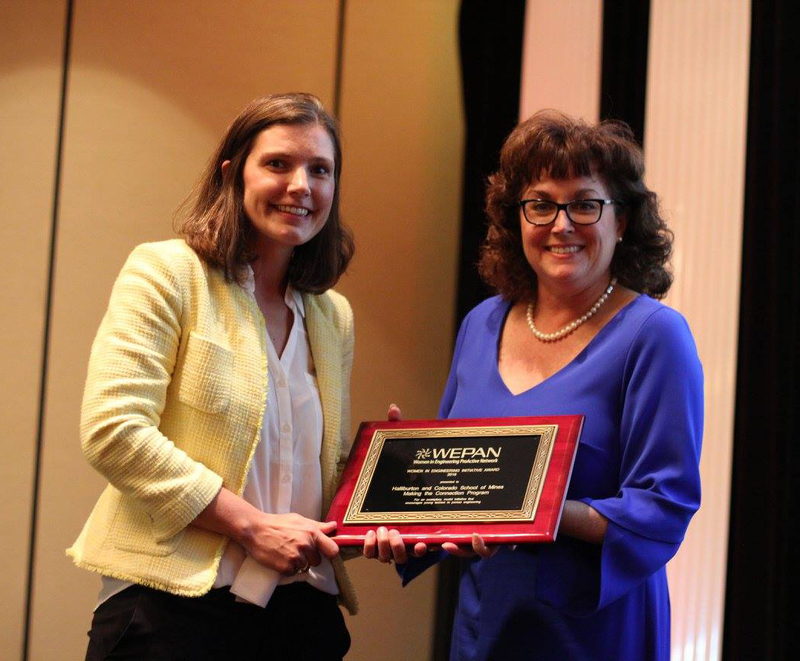 The Director of the Women in Science, Engineering and Mathematics (WISEM) Program Stephanie Berry accepted a Women in Engineering ProActive Network (WEPAN) Women in Engineering Initiative Award. The award was presented to Halliburton and Colorado School of Mines: Making the Connections Program. The University of Maryland also received an award for their Dr. Marilyn Berman Pollans Women in Engineering Living & Learning Community. The awards were presented at the WEPAN 2016 Change Leader Forum in Broomfield, Colorado.